Born in Barcelona. PhD in Mathematics, area: Partial Differential Equations, adviser: Louis Nirenberg, Courant Institute, New York University, 1994. Kurt Friedrichs Prize, New York University, 1995. Member of the Institute for Advanced Study, Princeton, 1994-95. Habilitation à diriger des recherches, Université Pierre et Marie Curie-Paris VI, 1998. Harrington Faculty Fellow, The University of Texas at Austin, 2001-02. Tenure Associate Professor, The University of Texas at Austin, 2002-03. ICREA Research Professor since 2003 and Catedrático de Matemática Aplicada since 2008, at the Universitat Politècnica de Catalunya. Fellow of the American Mathematical Society, inaugural class, 2012. Editor of the Journal of the European Mathematical Society, 2014. Cabré, Xavier; Sire, Yannick (2014). Nonlinear equations for fractional Laplacians I: Regularity, maximum principles, and Hamiltonian estimates. Ann. I.H.Poincaré 31, 23-53. Cabré, Xavier; Roquejoffre, Jean-Michel (2013). Theinfluence of fractional diffusion in Fisher-KPP equations. Communications in Mathematical Physics 320, 679-722. 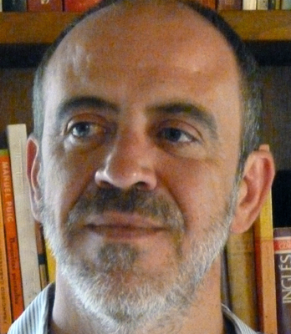 Cabré, Xavier (2010). Regularity of minimizers of semilinear elliptic problems up to dimension 4. Communications on Pure and Applied Mathematics 63, 1362-1380. Cabré, Xavier; Solà-Morales, Joan (2005). Layersolutions in a half-space for boundary reactions. Communications on Pure and Applied Mathematics 58, 1678-1732. Ambrosio, Luigi; Cabré, Xavier (2000). Entire solutions of semilinear elliptic equations in R^3 and a conjecture of De Giorgi. Journal of the American Mathematical Society 13, 725-739.